-August 17 – 2 hour Hope to Sailor Bar departing at 5pm – 10 seats available. – Sept 1 – Hope to Hells Gate – 9am and 1:30 still available. 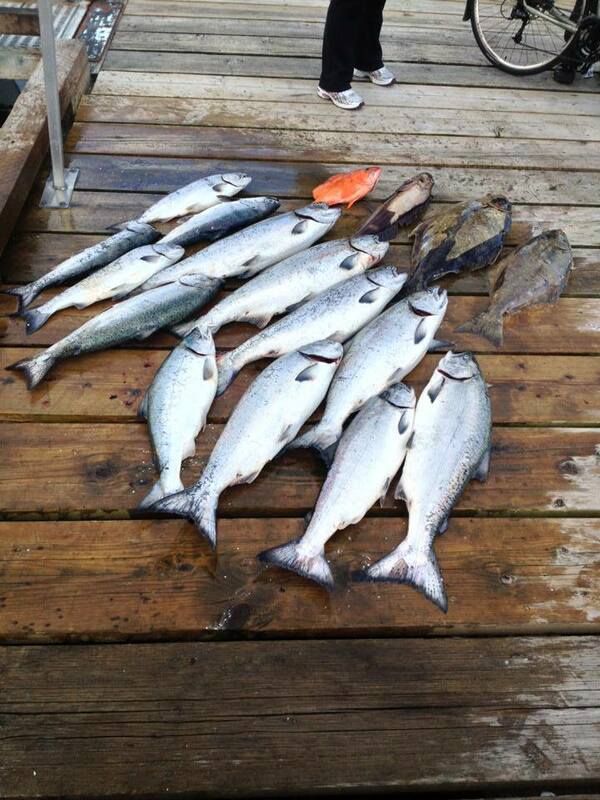 Some great fishing out there today, we had charters going out from 3 locations fishing for both salmon and sturgeon. Grant over at Whales Reach Lodge was hammering on salmon, our trip out of the Delta Airport Hotel produced 2 nice hatchery Coho and our Fraser River Sturgeon charter landed 2 fish over 6ft in just minutes of each other. Nice work Grant, if anyone is looking for a great salmon/Halibut trip the next 6 to 8 weeks is primetime. 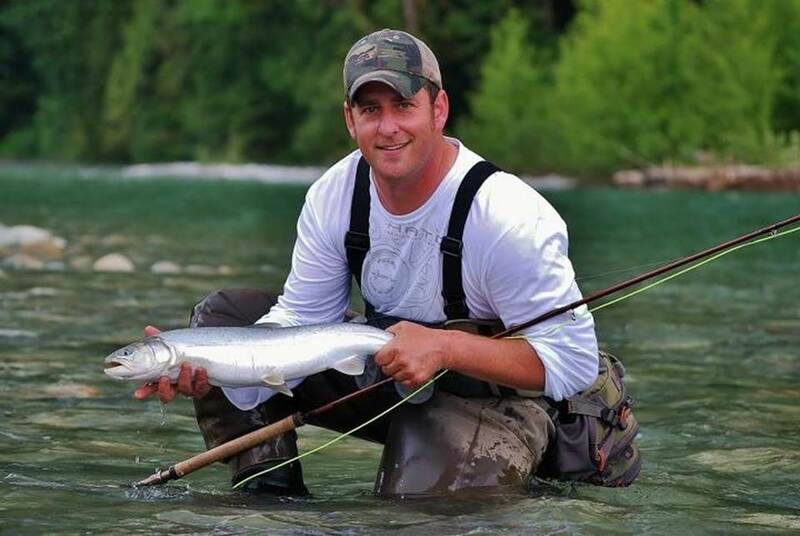 Vancouver Island offers some of the best salmon and Halibut fishing anywhere in BC, our lodge is located just minutes from Port Hardy on the West coast side of the Island. If you want affordable fishing but still the same high quality as the high end lodges, we can help you out. 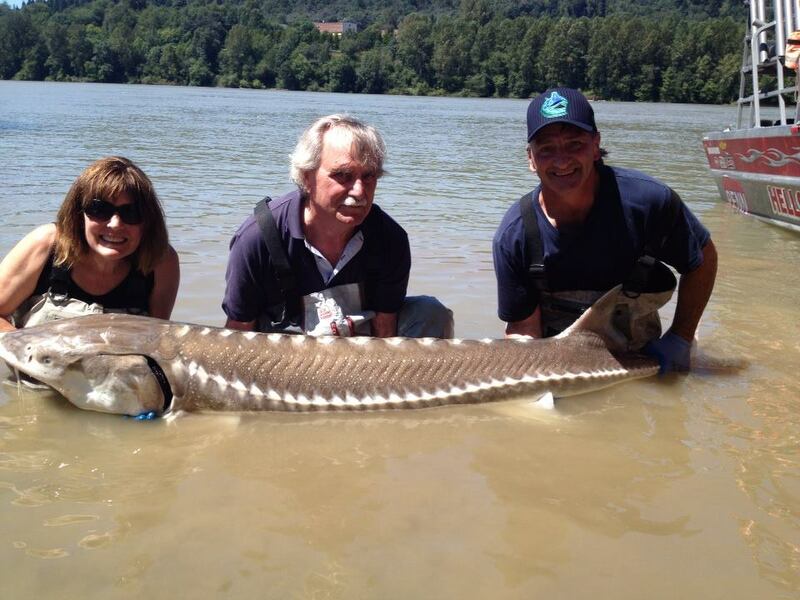 Great day on the Fraser even though it started slow, we ended with a back to back 6ft and 6’7" sturgeon’s. Best bait was Lamprey eel with a little garlic scent. Water is still very high but i think we have seen the last of the rising river and we should have a steady drop over the next few weeks. The Fraser is expecting some great salmon runs late this summer so when your looking for a salmon/sturgeon combo trip, the Fraser should be at the top of your list. Not only is the ocean and river producing good results but the fly fishing for trout is also very good. Anyone looking for a last minute trip we are on the water daily and working hard to put fish in the boat. The Pitt river is producing some nice Bull Trout in the 2 to 5 lb range on both fly and spin gear. Best fly’s are larger streamer patterns in darker olive, black or purple. For spoons, nothing beats the Gibbs Ultra Lure in Sterling Silver with green or blue stripe. Vancouver salmon fishing has been good as well, the Capilano River Coho are starting to show up in Vancouver Harbour, we landed two yesterday with a boat full of crab. The salmon fishery out of Vancouver should be good over the next few weeks and once the sockeye start to move in we should see some great fishing at the Fraser mouth. Hope you all have a great weekend and Happy July4th. 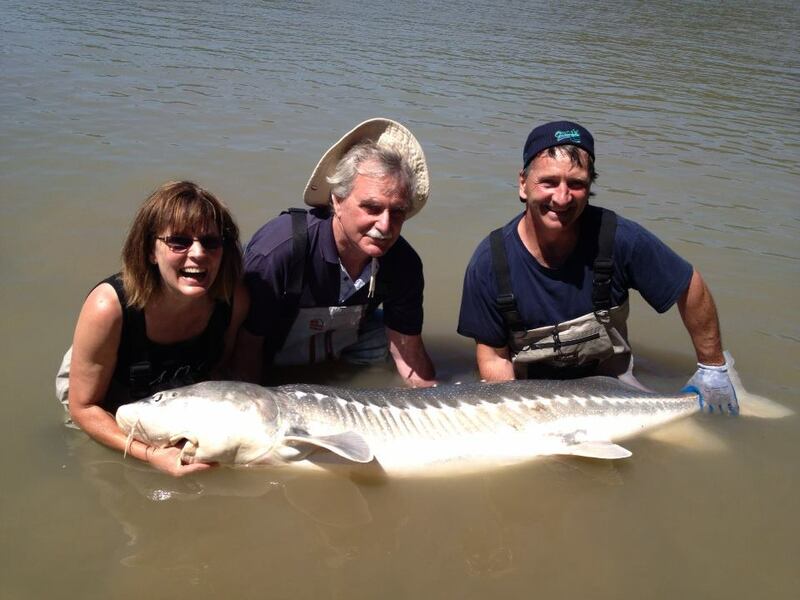 You are currently reading July 4th update at Hells Gate Jet Boat Tours Blog.